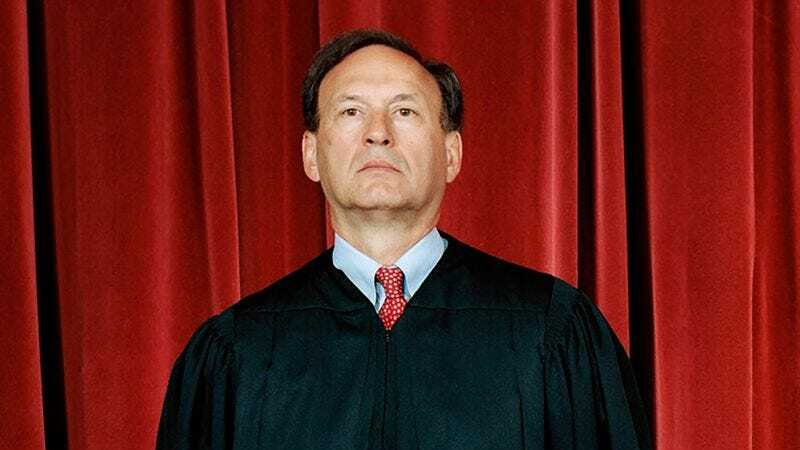 WASHINGTON—Reaffirming a deeply traditionalist definition of the institution of matrimony, Supreme Court justice Samuel Alito issued a statement Monday declaring that marriage can only strictly exist between a man and the tempestuous sea. “It is my opinion that the only constitutionally sanctionable union is composed of a seafaring man and the solitary life of fickle winds and brine-crested breakers,” said Alito, adding that any current law that fails to narrowly delineate marriage as a compact involving a man, the churning waves, and the sea-song of gulls in the early dawn is invalid according to the highest law of the land. “The principle of equal protection enshrined in the Constitution emphatically does not entitle the federal government or any state body to redefine this sacred maritime institution. The Founding Fathers recognized that the heart belongs to the tides and the deep alone—in both stormful days and calm waters.” Alito went on to say that marriage between a man and the sea must be preserved as such despite the fact that she can be a cruel mistress with little heed for what a forsaken old sailor wills.